LOT #95012: As far as I know (my info came from the source of both the posters and also in talking to Marc Davis), there are only two Mansion Original Attraction Posters extant that are signed by Marc Davis. This is one of the two. THE HAUNTED MANSION GENESIS: This auction contains the HOLY GRAIL Haunted Mansion piece ever offered (LOT #95314); in fact Heritage Auctions wrote about the item, "Here is one of the single most important lots we have ever offered in relation to Disneyland." Strong words. We all know the history of Walt's Haunted Mansion and how he approached Ken Anderson in 1957 to work up a story and an attraction for Disneyland's Haunted House. After working on it for the first portion of 1957, Ken had an idea, but Walt sent him back to the drawing board. Ken returned with this piece, "The Haunted House, 2nd Revision, Sept. 17, 1957 by: Ken Anderson." It included a story and a flow through of the attraction, a fold-out architectural rendering of the walk-through attraction, a fold-out brownline of the front of the Mansion (with the Jungle Cruise boat peaking in at the very far left), and history was begun. Also included are two-pages of Ken's hand-written notes taken at the Winchester Mystery House, where Ken tried to track the habits of people walking through the famous Northern California haunted house. This "report" was placed in Walt's hands and the rest was history. (Ken also included for Walt's pleasure, a drawing of a ghost done in ink at the end of the report. There are less than a half dozen of these reports (all different revisions) in existence, but they are all owned by the Walt Disney Archives ... except for this one, Ken's personal copy was given back to him and this piece of rare Haunted Mansion history is now being offered in Heritage Auctions July 2, 2017 sale. An amazing, one-of-a-kind Disneyland historical like nothing else ever offered. The above image is a little ink sketch that Ken drew for Walt Disney in the book. The Disney Books Network was updated today. I really love the recently-released cover of Don Hahn's upcoming book. 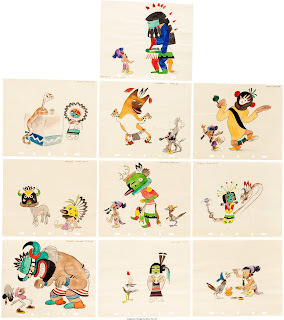 Another amazing series of drawings that will hit the market this week via Heritage Auctions. Those are recently discovered drawings created for Baby Weems by Disney artist Fini Rudiger-Littlejohn. 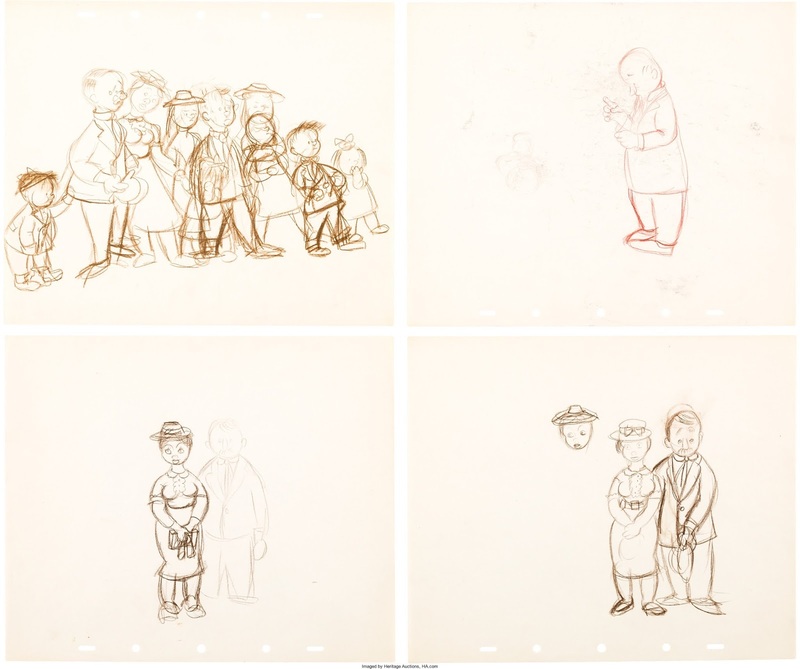 As far as I know those are the only known drawings from Fini Rudiger for that specific project, aside from the one reproduced on page 60 of Before the Animation Begins. I love them! Look what I found in my mailbox this week! This is the first physical copy of They Drew As They Pleased - The Hidden Art of Disney's Late Golden Age, which will be officially released in October this year. I will be presenting about the secrets behind the making of this book series on Saturday, July 15, at 11.30AM on the Disney Archives stage at the D23 Expo. - The best piece by Kay Nielsen from Night on Bald Mountain that I have ever seen (above). - An incredible original drawing of Laurel and Hardy with two of the Pigs by Hank Porter. 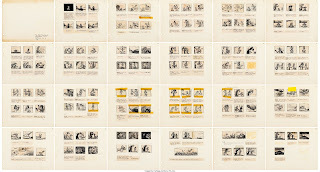 - The complete thumbnails from the Tar Baby sequence in Song of the South by Ken Anderson!!! - A huge collection of story drawings from the abandoned musical project On the Trail by Retta Scott. Even if you do not have the money to bid on anything, you owe it to yourself to check this out. 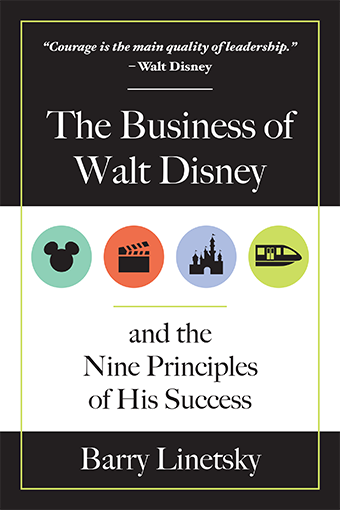 The Business of Walt Disney by Barry Linetsky is an excellent book. 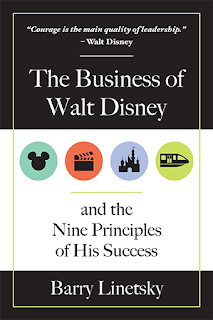 It is the first real attempt at telling the whole story of Walt's career purely from a business standpoint and it definitely achieves its goal. Barry has done his homework. His book is well researched and an easy read (thankfully, since it is 578-page long). 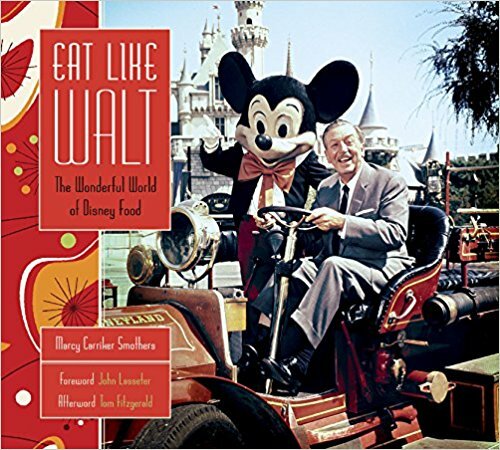 He makes excellent use of all the interviews that have been released via Walt's People over the years and of all the other books about Disney history that were not available to his predecessors. This is therefore an excellent book to get a great overview of Disney's career and one that the casual Disney history enthusiasts will want to read right away. When it comes to Disney historians, this book might not quite achieve what they are looking for. If you have read everything that has been written throughout the years about Disney history, then you crave books that tap into new sources of information (very rare articles, new interviews, diaries, correspondence, memos, etc.) This is not what you will find in this book. But then again, there are very, very few Disney history books that offer this these days, so this does not take away from the quality of what Linetsky has achieved. I love Jim Korkis' books. All of them. They are light reading and I always learn something new in all of them. They are also a great starting point to make new discoveries. I find a lead there, a new quote here and this usually sparks new ideas for areas of Disney history that should be researched in depth. 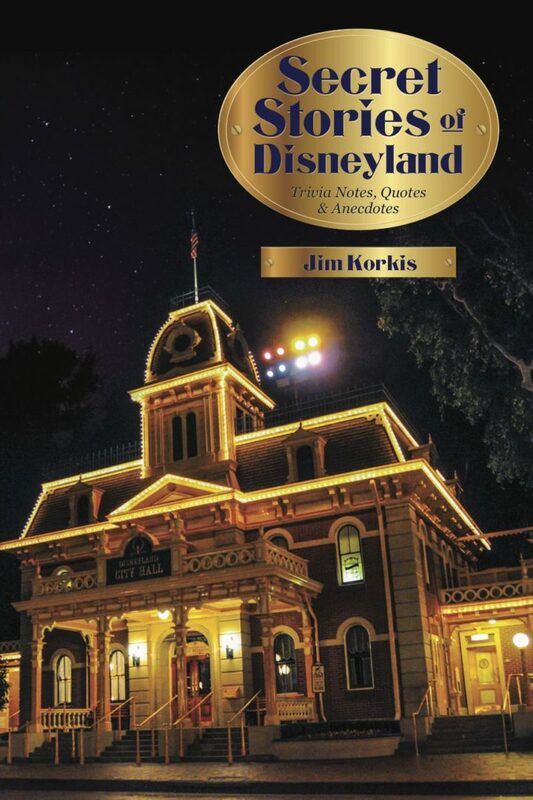 Secret Stories of Disneyland, Jim's new book, released by Theme Park Press, is no exception and I was very glad to add it to my library last week. 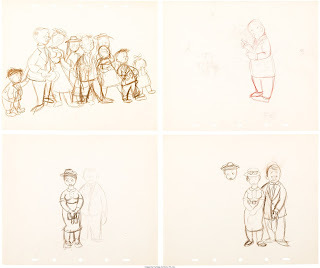 The Hidden Art of Disney: A Behind-The-Scenes Look at the They Drew As They Pleased book series. I am really looking forward to meeting you all there. After the presentation, I will be glad to sign your books at the booth of Saturday Toys. For technical reasons, none of the books will be sold at the Expo, but if you bring your own copies, I will be there to personalize them. Needless to say, I hate this book's cover design. It is, however, easy to read and very enjoyable. 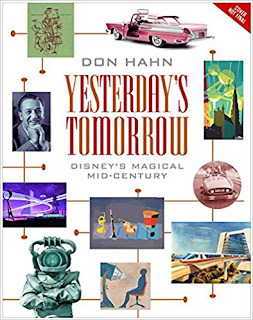 Target readers are not Disney historians who will not discover anything new in this volume, but the young nephew or nieces of those Disney historians who want to start getting a sense of what is so fun about Disney and Disney history. 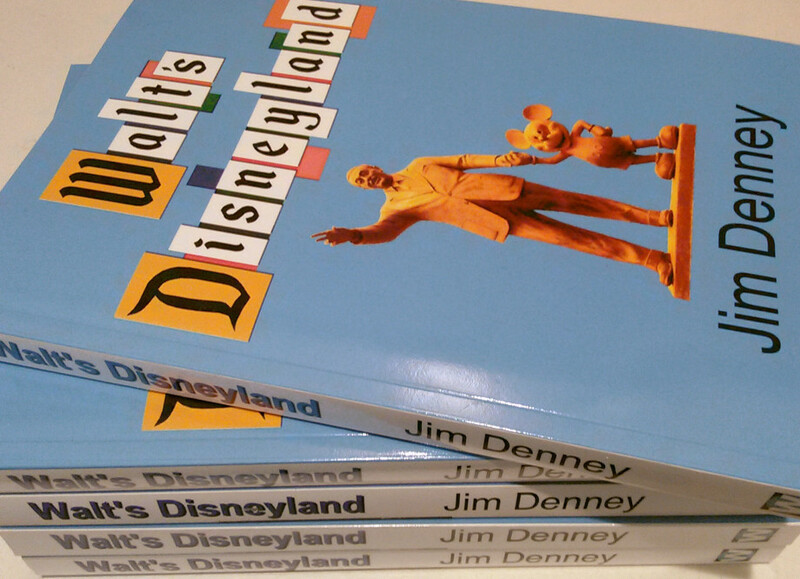 A good gift idea if you want to introduce someone to who Walt was and what makes Disneyland special. 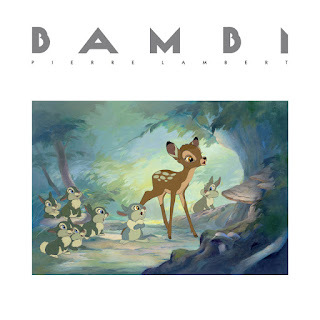 This new book by composer and scholar James Bohn is the best study of Disney music to date. It is in-depth and based on excellent research. 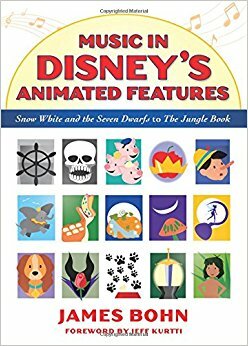 It is a useful reference book that most Disney historians will thoroughly enjoy. Unfortunately the physical book version is also way to expensive, which is a shame as this factor is bound to hurt sales. 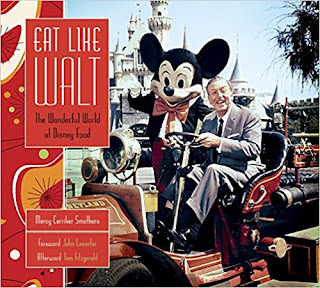 I was surprised to hear a few weeks ago from someone I trust that the upcoming book Eat Like Walt by Marcy Carriker Smothers is a volume that is based on a large amount of original, in-depth historical research. I am now very much looking forward to pick it up when it is released. I just received a review copy of The Art of Cars 3. I hear that the movie Cars 3 is much better than the previous installment in the franchise, which is good news. Unfortunately there is not much in the book that really excites me. 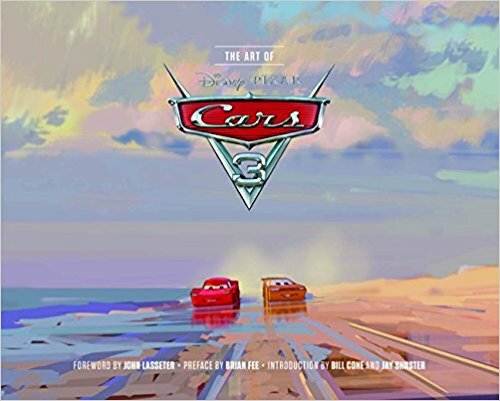 I have a feeling that this is because I am much more interested in character designs than in storyboard drawings and there is very little "concept art" in this book since the Cars universe has already been well-established. In other words, this book was a disappointment. That being said, I have very high hopes from the next "Art of" book which will follow in this series: The Art of Coco. I just can't wait to get that one! 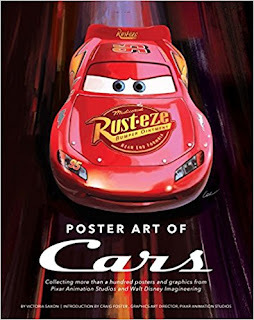 I just reviewed a review copy of Poster Art of Cars by Victoria Saxton. I have never been a big fan of the Cars movies, and so I was surprised by the fact that I thoroughly enjoyed this book. Make no mistake, this is not a history book and if you buy it you will not do so for the text. But the art it contains is hilarious and really, really well done. All sorts of takes on real and "fake" (parody) posters from the Cars universe. The overall sense of humor and sense of detail got me. This just in from Heritage Auctions. I will post a lot more about this historic auction very soon. 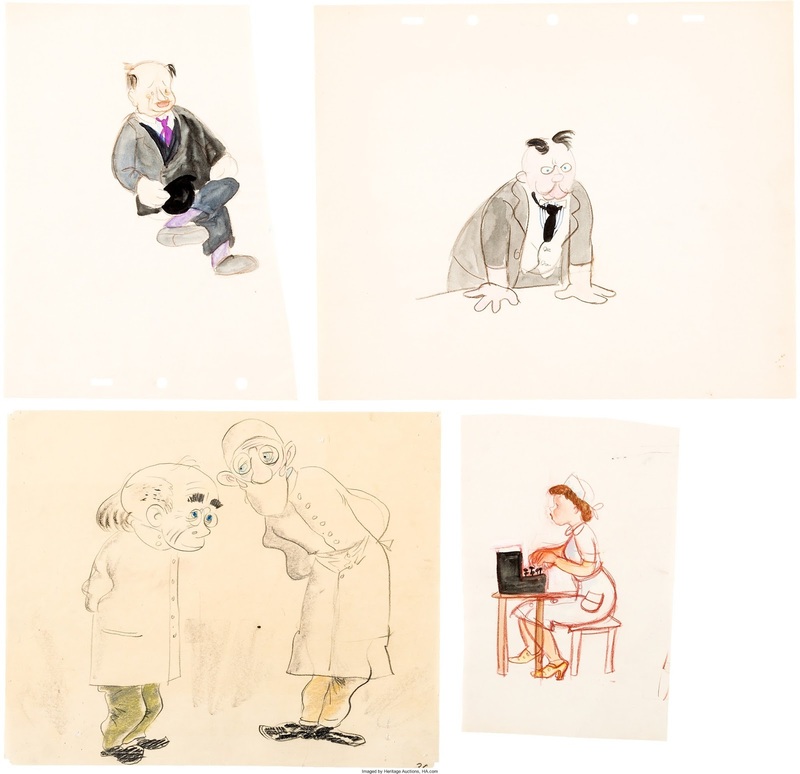 DALLAS, Texas (June 5, 2017) – From animation drawings to production cels, concept art to storyboards, Heritage Auctions’ July 1 Animation Sale will offer one of the largest selections of artwork from the groundbreaking classic 1940 Walt Disney animated feature film Fantasia. 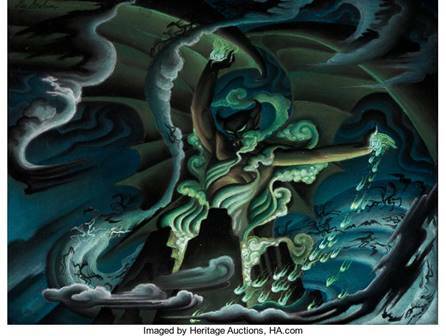 No other piece highlights the rarity of this auction as well as Kay Nielsen’s epic “Night on Bald Mountain” Concept Painting (Walt Disney, 1940), which is expected to sell for $50,000. Being offered is a fantastic original of Mickey Mouse as “The Sorcerer’s Apprentice” Production Cel. Mickey’s role as the “The Sorcerer’s Apprentice” is arguably his greatest and most impactful role (est. $15,000). The Danish illustrator Kay Nielsen,makes another appearance with a piece of Preliminary Background Art (est. $10,000). Another piece of animation from Fantasia is a Production Cel from the “Nutcracker Suite” section. This cel features Fantasia’s equivalent of Dopey, Hop Low and the accompanying mushroom dancers. Ben Ali Gator and Hyacinth Hippo Production Cel (est. $5,000) will be a fun hand-inked, hand-painted, fan favorite, and the “The Sorcerer’s Apprentice” Storyboard Painting (est. $1,000) is a magical representation of Mickey’s role. In addition to the ample amount of Fantasia production art, pieces from Snow White and the Seven Dwarfs, Song of the South, Peter Pan, Robin Hood, Cinderella, Lady and the Tramp, Pinocchio as well as rare never-before-seen artwork from all the major animation studios, among others, will be presented in the July event. Some of the earliest known art to come from the hand of Tim Burton will be offered, such as Stalk of the Celery Monster (est. 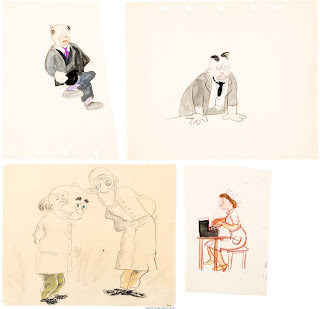 $10,000) from Burton’s time at Cal Arts in 1979, and The Black Cauldron (Walt Disney, 1985), several concept art pieces from his time as an apprentice at Disney (est. $5,000). 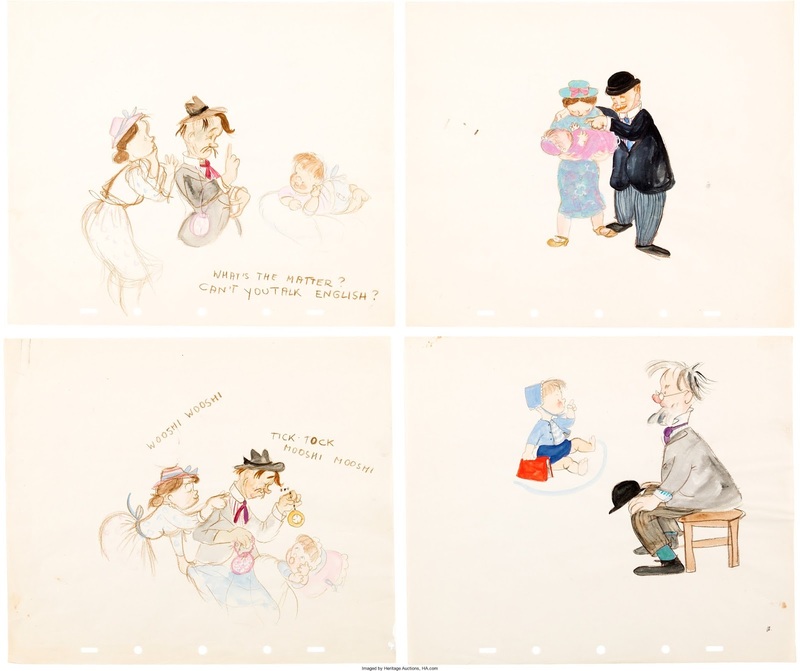 Ken Anderson’s early Disneyland Haunted Mansion Studies (est. 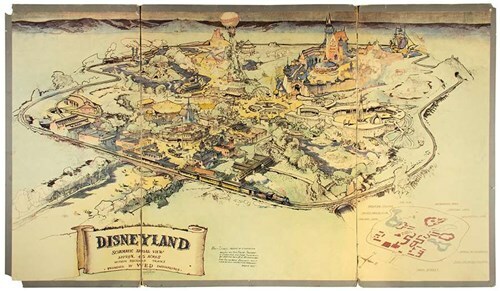 $5,000) is one of the most important lots Heritage Auctions has ever offered regarding Disneyland. Based on the Winchester Mystery House in San Jose California, The Haunted Mansion notes and plans are confined to a soft binder that Walt Disney and Ken Anderson loosely designed in 1957, 12 years before the ride officially opened. 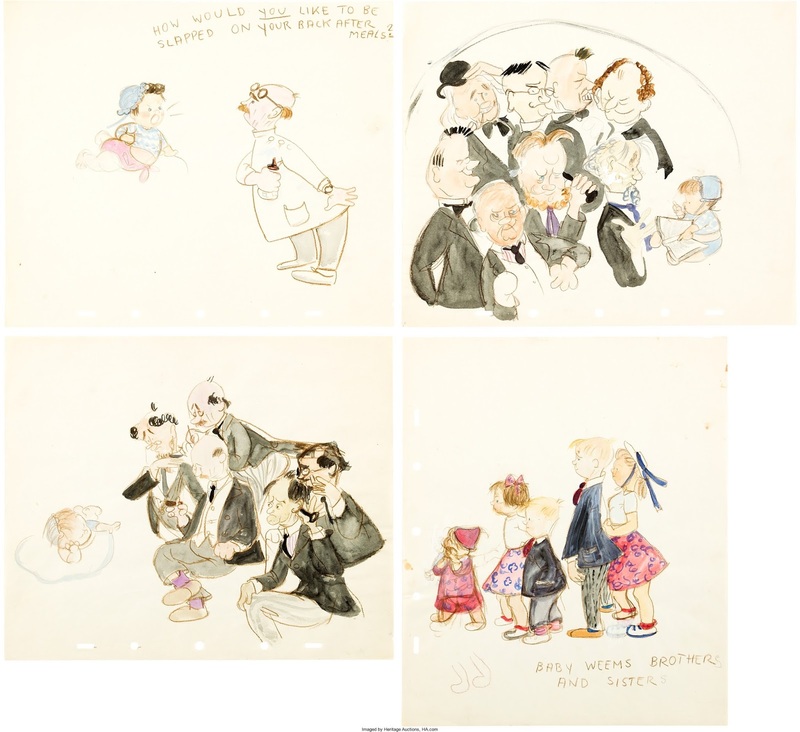 One of the earliest known Mighty Mouse Production cels on its Key Master set ups from the cartoon Pandora’s Box is a special lot being offered in this sale. It is a rare, blue Super Mouse (Mighty Mouse) Production Cel on its Key Master hand-painted production background before legal reasons required the character to have his name and colors changed. In this Key Master Background Setup Super Mouse features the original, pre-infringement, Superman colors. This key cel and background set up could be the earliest Key Master Setup of Super Mouse/Mighty Mouse known to exist (est. $5,000). Posters include the Haunted Mansion Entrance Poster (est. $5,000), Peter Pan Entrance Poster (est. $2,500), Matterhorn Bobsled Attraction Poster (est. $3,500), Monorail Disneyland Park Attraction Poster (est. $3,000), Alice in Wonderland Park Attraction (est. $3,000) and the Autopia Park Attraction Poster (est. $2,500). 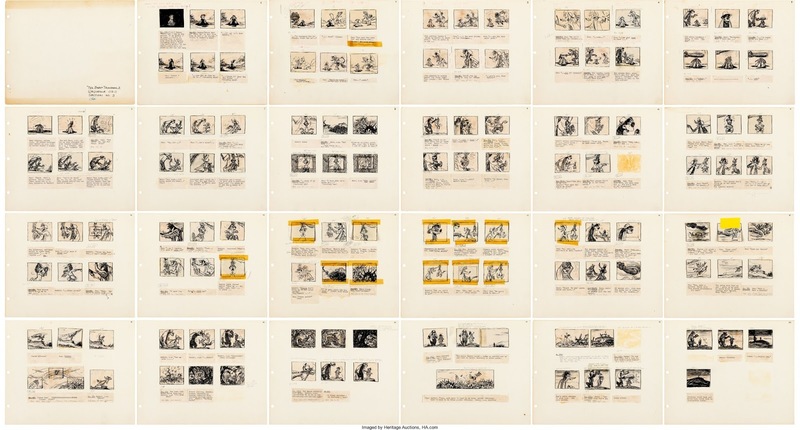 More than 1,000 rare and many never-before-seen lots from all major animation studios from some of the most important people in the history of animation also will be included in this sale. I have not yet seen Aladdin - The Musical, but I hear it is an excellent show. 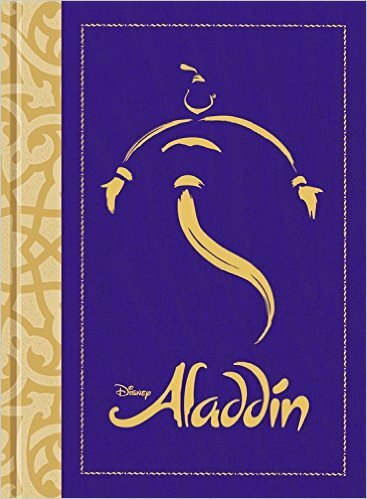 I have just received a copy of the book about the making of the show, The Road to Broadway and Beyond Disney Aladdin: A Whole New World by Michael Lassell. This is a beautiful book and a model when it comes to books about musicals. All is in there: great interviews, beautiful concept art, great behind-the-scenes photos. If you are into Broadway musicals, especially Disney ones, this book is definitely for you. It is a home-run. 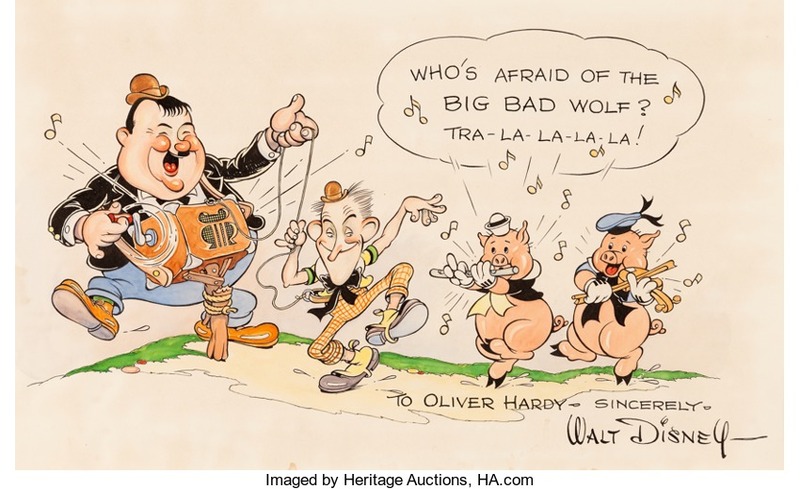 There are two upcoming Disney-related auctions that are really worth paying attention to these days as both contain astounding treasures. The first one is focused on the Disney parks. It is organized by Van Eaton Galleries and will take place on June 25. One of the most exceptional items it contains is the map that Roy O. Disney brought to New York at the end of 1953 to convince the bankers and the TV networks to invest in Disneyland. This is the real deal. It is the original document enhanced by hand by Herb Ryman himself based on the original map he drew a short time earlier on Walt's request. More about this at this link. I will discuss the second exceptional auction later this week. This is a series of lectures I would really have loved to attend. Claude Marin was the most "Disney" of all the French artists working for Le Journal de Mickey after WWII and until the 1990s. I had the chance of getting to know him at the end of his life. He truly loved Disney and drawing Mickey and his friends. I just discovered this tribute to his non-Disney art from Le Journal de Mickey a few weeks ago. This book was released in France in 2007. Its print run was limited to 200 copies.